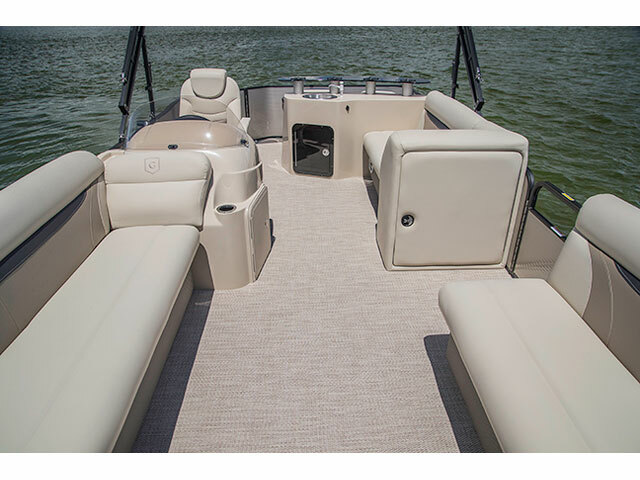 On her way to Breakwater Marine, this Sweetwater 2286 is the perfect boat for a family that wants to lounge, cruise, entertain, and fish! 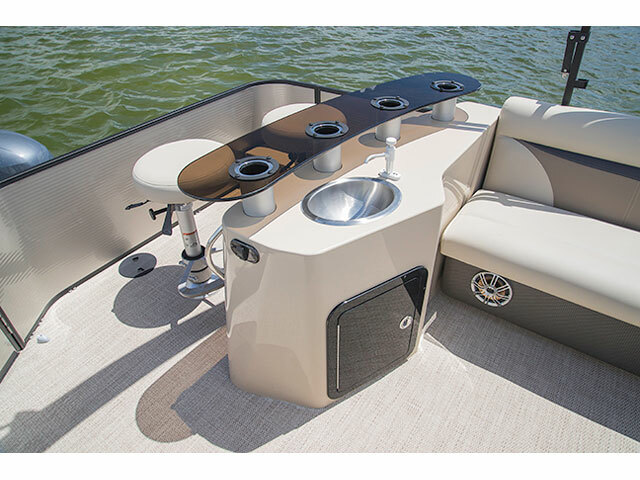 She has a raised two person wet bar in the bac with two stools that slide and rotate, as well as a sink with water, cooler, and L shaped lounge area! 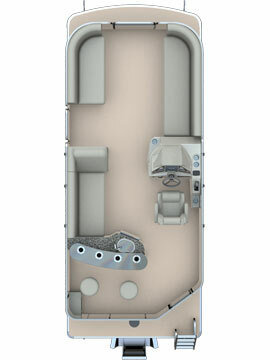 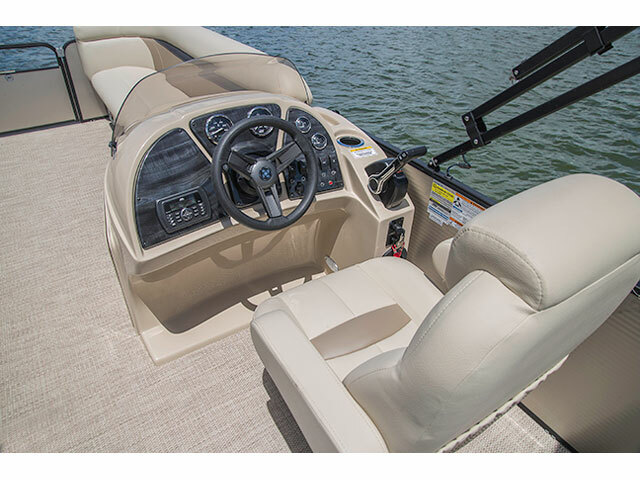 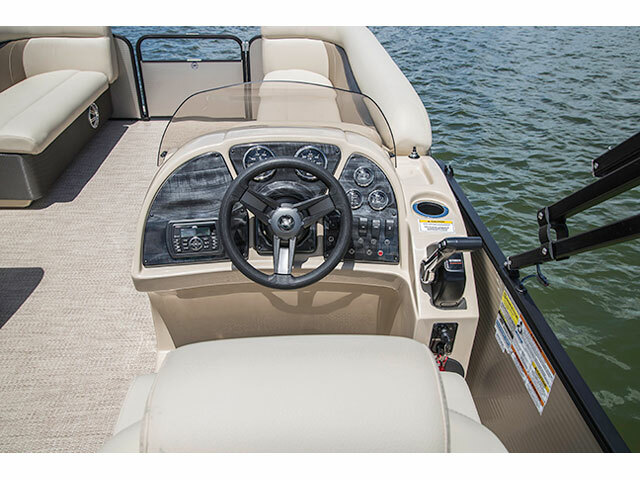 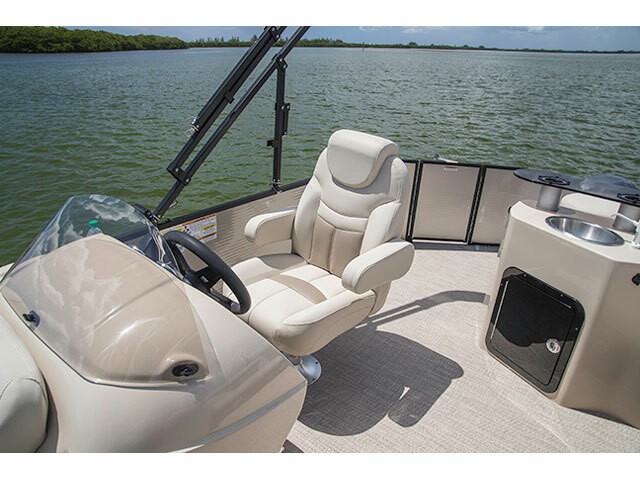 Features 115 ELPT Command thrust 4 stroke EFI with hydraulic and tilt steering, Karavan tandem axle trailer with quad disc brakes, Simrad 5" touchscreen GPS with sonar, mapper, and chartplotter, upgraded stereo with backlit speakers, wicker wrapped seat bases, change room with porta potti, and much more! 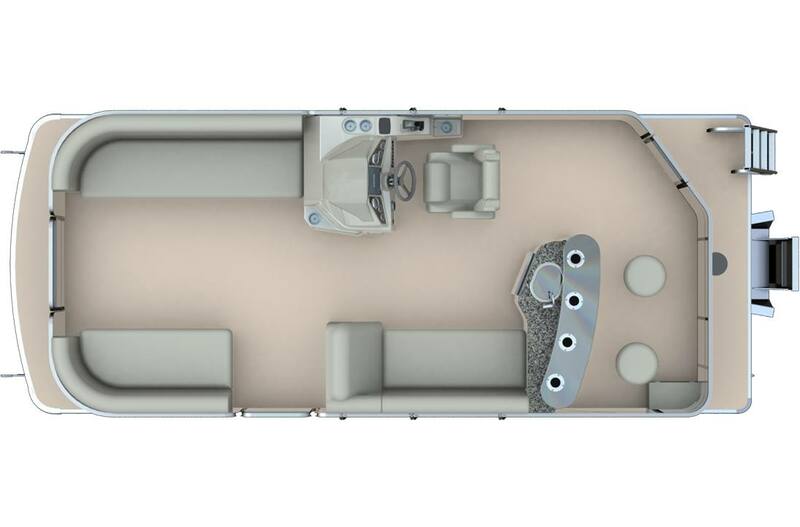 This is a triple toon design with full length lifting strakes and protective under deck skirting optimizing efficiency and ensuring a smooth ride! 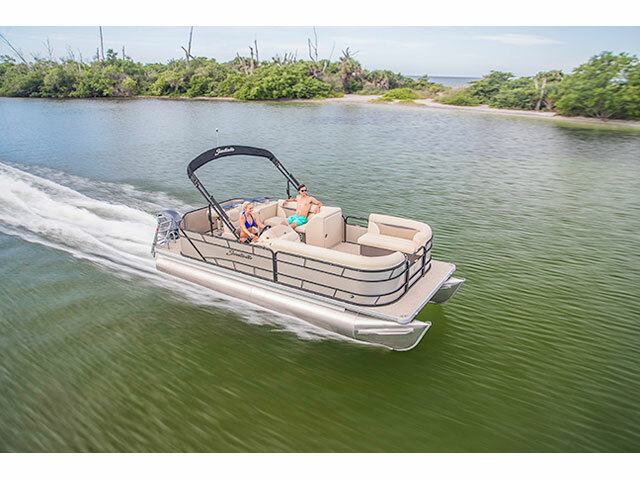 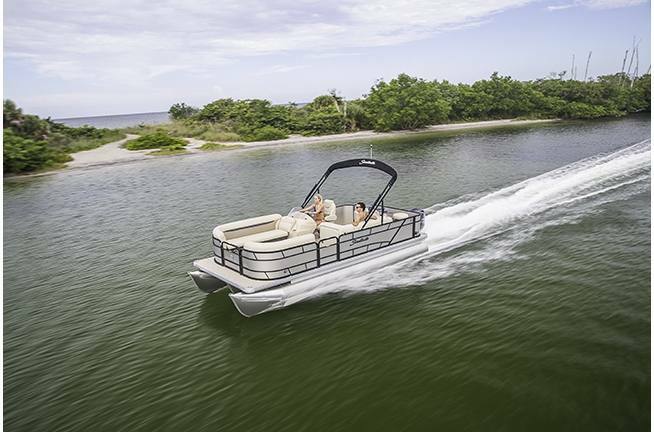 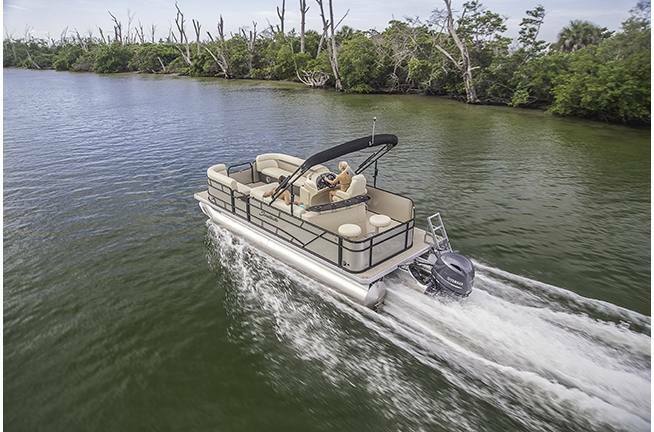 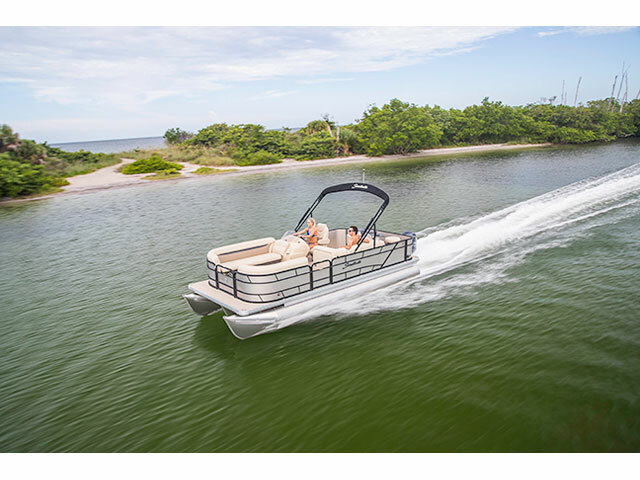 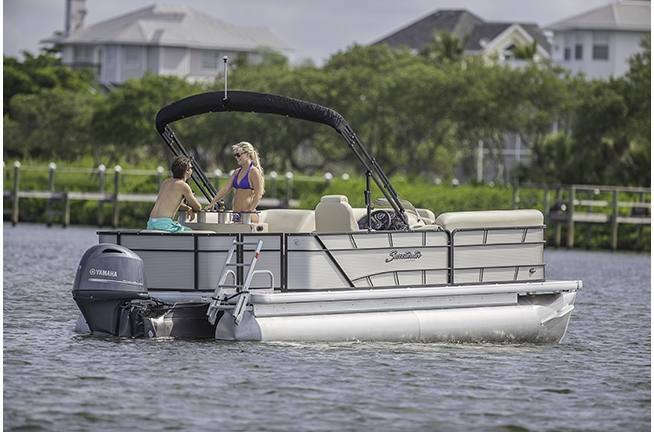 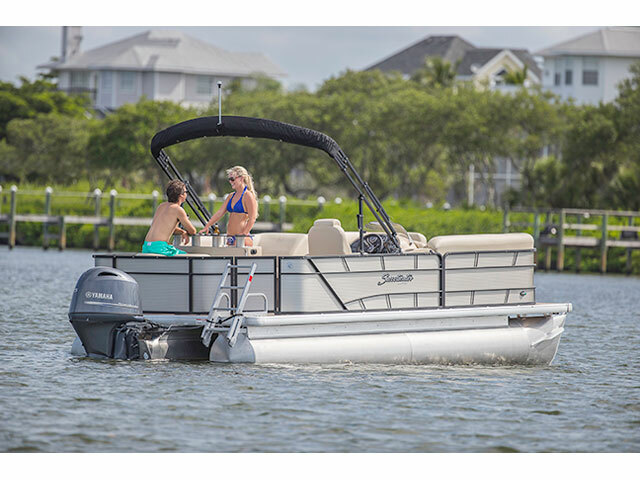 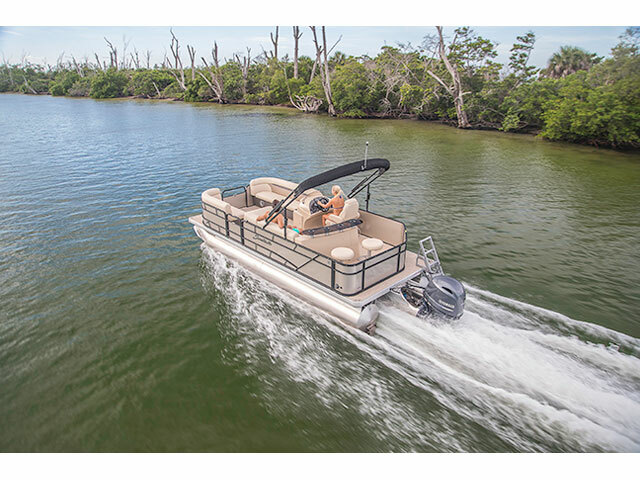 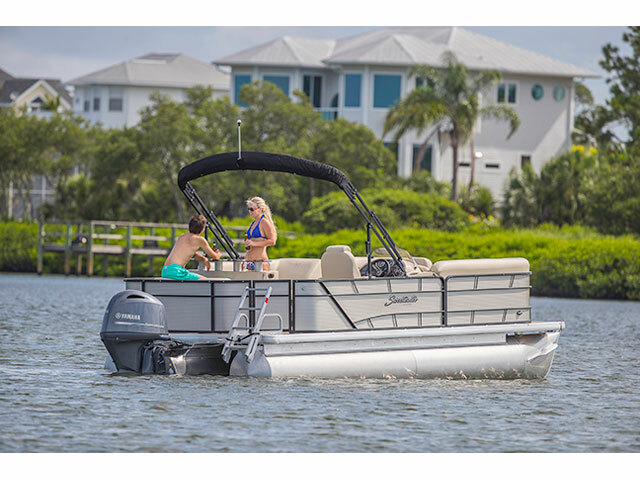 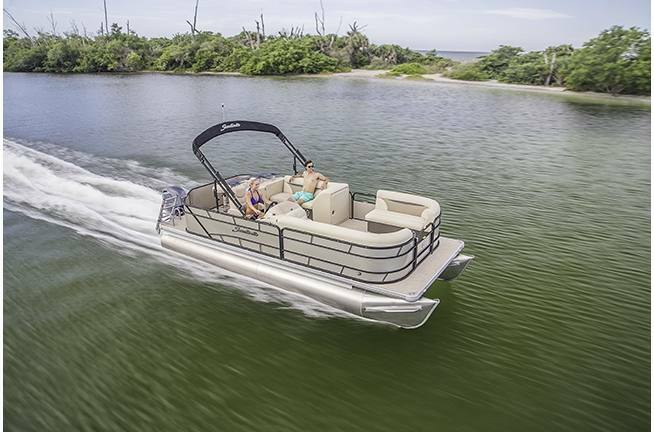 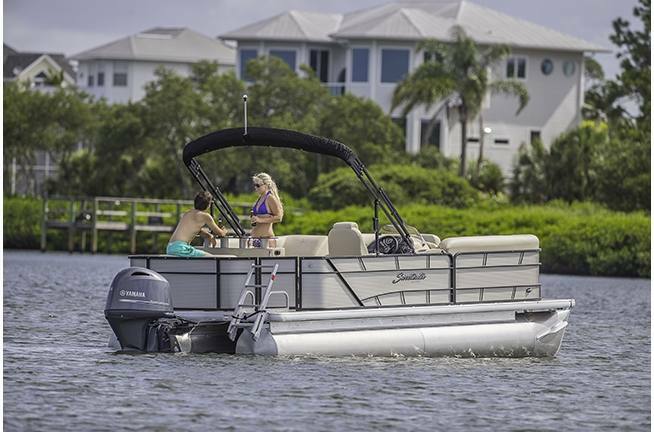 Lifetime hull and deck warranty plus a "bumper to bumper" transferrable warranty that offers the best coverage on all items North America wide with no deductible! 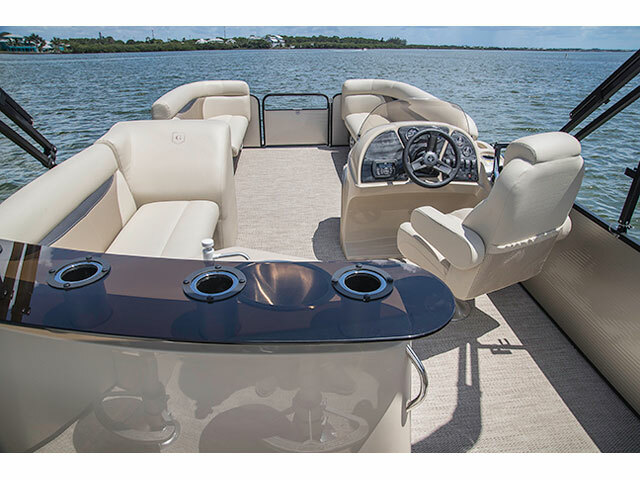 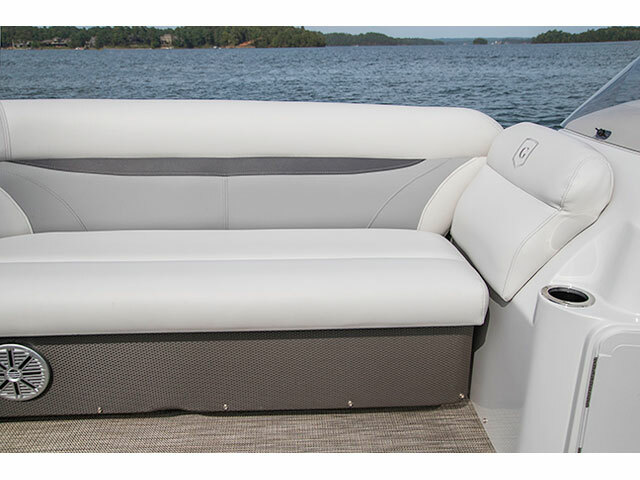 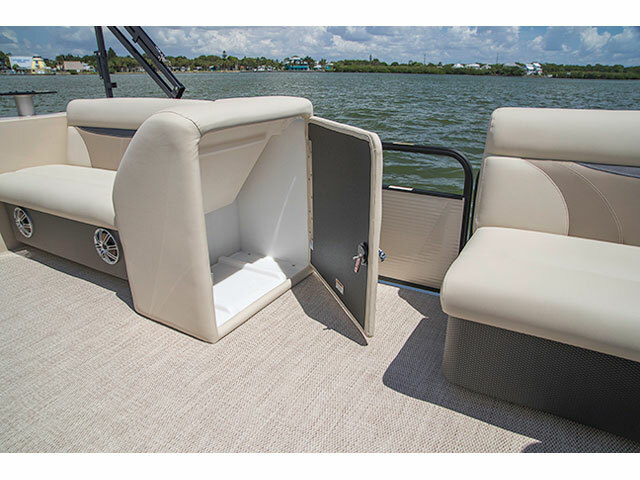 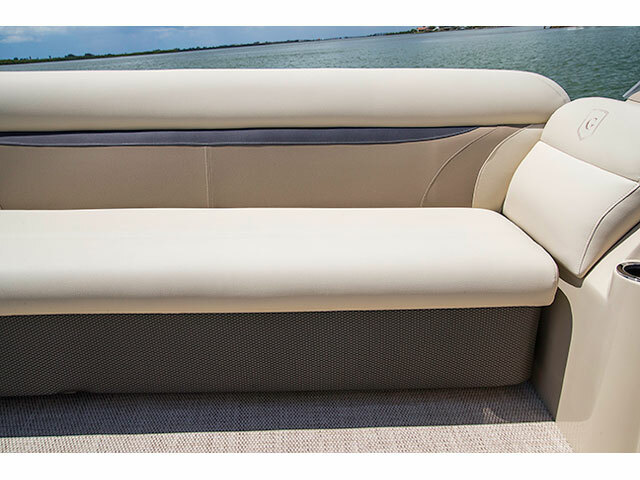 The color combination of this stunning package is a Vino red rail skin, charcoal bimini and full cover, and a csramel tan upholstery with cushioned vinyl tan/brown and charcoal flooring.